Colorado Knock and Talk Laws – A “Knock and Talk” is a police investigative tool happens at the home of a suspect or an individual. They are legal in most instances if they follow Colorado law and understanding when they “work” is the subject of this article. Colorado courts have recognized the knock and talk technique as a “consensual encounter” that does not violate the Fourth Amendment. A recent Colorado case has reaffirmed the consensual knock-and-talk technique and application even though it was a part of deceptive trick. 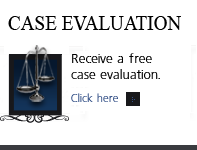 The Colorado Court of Appeals issued an in People v. Nelson on March 15, 2012 that took Colorado’s Knock and Talk rule. On January 27, 2006, the police were dispatched to an apartment building after receiving a tip from an anonymous informant. The tip was that the apartment building was being used for narcotics distribution . The officers used a ruse of claiming to be maintenance workers to get the person inside the apartment to open the door. They said the ruse was NOT intended – nor was it used to deceive any person in the apartment into giving consent to enter or search the apartment. The police knocked on the apartment door of one Harvey Nelson. He answered it. One of the officers testified that, when Nelson opened the door, he saw a glass pipe commonly used for smoking marijuana on a table inside the apartment. When the police officers noticed the other man running, they assumed that he was fleeing, destroying evidence, or trying to obtain a weapon. They also found methamphetamine from the other man’s pockets. Was The “Knock and Talk” Unconstitutional? Nelson filed a motion to suppress the evidence seized from the apartment based an unconstitutional entry and search of his residence. 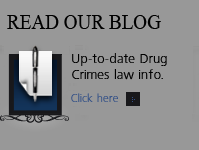 While the Colorado Courts generally do not condone police deception, they have held that the limited use of ruses is supported by the overwhelming weight of law. The issue is decided in the context of whether consent to enter or search was constitutionally valid. Colorado law in this area is this – where a consensual entry into a home “is gained by a preconceived deception as to purpose, consent in the constitutional sense is lacking” and the difference between a permissible consensual encounter at a person’s doorway and an impermissible constructive entry depends on whether there was coercive conduct or a display of force by police officers. So the police CAN knock at the entrance to a residence and seek permission to enter for the purpose of inquiry, BUT ONLY if the occupant validly consents. Only THEN can the officers enter without a warrant. In one case the a federal court held that a police officer’s use of a ruse – telling the defendant through a closed door that he was a utility company employee who needed to check a gas leak – did not violate the defendant’s Fourth Amendment rights. In still another officers asked hotel housekeeper to knock on door and say she was there to clean room, and the suspect answered the door; ruse did not violate privacy interests, as suspect could have chosen not to answer the door. Or a case in which it was held that officers did not conduct unconstitutional search where they knocked on motel room door pretending to seek assistance with car trouble, saw suspected contraband from outside when door was opened, and obtained a search warrant based on that observation. While the use of a ruse to gain entrance is not necessarily improper – to make that determination the factual circumstances must be closely examined. officer represented himself as a maintenance person wanting to check the thermostat, which induced nothing more than the opening of the door, the ruse did not invalidate subsequent consent to enter. ….that entry into Harvey Nelson’s apartment was not the direct result of the ruse used to have an occupant open the door. Entry into the apartment was justified by probable cause and exigent circumstances. …the only intent behind the use of the “maintenance” ruse was to cause a person to open the door so they could conduct a “knock and talk” investigation. Nelson presented no contrary evidence of the officers’ intent. Nelson could have simply chosen not to answer the knock or open the door. Usually the police have only a smallest suspicion that there are drugs inside a home. If they had probable cause – they would get a search warrant. Typically during the ” knock and talk,” the police show up in force. They cover each entry or exit of the residence. They use an intentional and quite intimidating show of force, leading to “consent” to let the police into their homes. They further use that intimidation to “talk the occupants into signing a “consent to search form” or by misleading them into signing the form to permit – through the use of a signed form – to search all areas of the residence….every nook and cranny. Colorado Knock and Talk Laws – What Should You DO If Involved In A Colorado Knock and Talk? 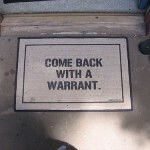 DO NOT open the door and – if you do – DO NOT allow police to enter without a warrant. Do NOT – under any circumstances – consent to search the home. Do NOT sign anything, especially a consent from. Call your Colorado Criminal Defense Lawyer . 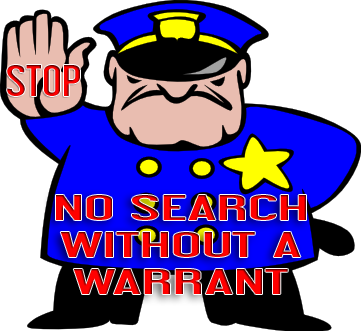 If the police do not have a search warrant when conducting a knock and talk, you do NOT have to even open the door. You CAN speak through the door if you decide to do so. If you open the door – you can count on the police alleging that they smell contraband to then use that smell to obtain an actual warrant. If you consent to and allow a search of your home without a search warrant, then anything the police see or find in the search, if it’s illegal, can be confiscated and later used to prosecute you in Colorado criminal court. If you say “no, I don’t give consent for the search” and there is no other source of probable cause such as a plain view seizure, (meaning the police can see a kilo of cocaine in plain view for example) the police cannot come in without a search warrant. The knock and talk then —is the knock, that is trying to get the citizen to open the door and the talk – trying to engage the person – suspect – in a conversation to THEN obtain consent to enter the home and conduct a search for the drugs that they may have received the anonymous tip concerning. In addition to handling tens of thousands of cases in the criminal trial courts of Colorado, he has written hundreds of articles regarding the practice of Colorado criminal law and frequently provides legal analysis on radio and television, appearing on the Fox News Channel, CNN and Various National and Local Newspapers and Radio Stations. Please call him at your convenience at 720-220-2277 lisinopril medication. 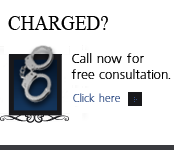 If you have questions about Colorado Knock and Talk Laws in the Denver metropolitan area and throughout Colorado, attorney H. Michael Steinberg will be pleased to answer those questions and will also provide quality legal representation to those charged in Colorado with adult and juvenile criminal matters as regards ……..Colorado Knock and Talk Laws.